The nation's ethnic landscape is changing, and by 2050, America will be majority non-white. These demographic shifts have implications for a wide variety of sectors, including philanthropy. Individual contributions constitute the single largest source of philanthropic support in the United States and historically the largest sums have come from white men. This does not mean, however, that people of color are not a part of the American philanthropic story, despite myriad obstacles. Last month was Black Philanthropy Month, and in a talk with its founders, they were careful to emphasize that the story of black philanthropy isn't just one about a wealthy elite, but the masses of people committed to giving back whatever they can to create and sustain black institutions like HBCUs and churches. 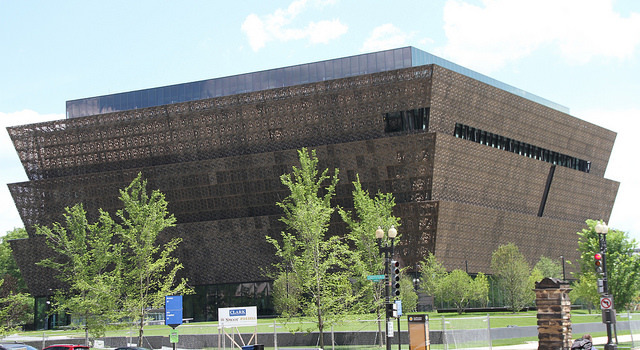 The new Smithsonian National Museum of African American History and Culture, meanwhile, according to the New York Times, received nearly three-quarters of its individual gifts from black Americans. Notably, $4 million alone came in gifts of less than $1,000. A report by John Gutierrez for the Center on Philanthropy and Civil Society describes a similar backstory in the Hispanic community, but also noted that more ought to be done to include and tap into Hispanic wealth. According to Gutierrez, research by the Hispanic Federation and the Independent Sector has found that Hispanics are not asked to contribute to charity at the same rates as their white and black counterparts. The good news is that some work is being done to identify and include these donors. Some national reports have been published on this topic, including by the Kellogg Foundation, which argued in a study that to "ensure the stability of philanthropy in the decades ahead... new donors will need to come from communities of color." We've also seen local initiatives, like one housed at the Community Foundation for Greater Buffalo called Emerging Philanthropists of Color, and another at the Denver Foundation, Elevating Philanthropy in Communities of Color. There's also the New Generation of African American Philanthropists in Charlotte. The growing universe of giving circles is another place where you'll find attention to encouraging givers of color. The Community Investment Network is an effort to knit that work together, with the goal of cultivating "a new cadre of philanthropic leaders from communities of color that acknowledge their civic responsibility and embrace their power to influence the community change." Meanwhile, at Inside Philanthropy, we've been coming across a growing number of major philanthropists of color as part of our research into individual donors. Here, we've put together a list of top black and Hispanic philanthropists. Many of these individuals have amassed wealth in the entertainment sector, but others have done so in tech and on Wall Street. This is by no means a definitive compilation. Rather, this post sketches out some of the more significant individual donors in this space and what they fund. Click on the related links to see full IP profiles on these folks or other coverage. The richest black American, Oprah Winfrey recently launched a miniseries Queen Sugar, co-produced with filmmaker Ava DuVernay, and megachurch drama Greenleaf. On the philanthropic end, she's a top donor to the new National Museum of African American History and Culture, having contributed at least $20 million. Oprah’s Angel Network was established in the late 1990s, and had raised more than $80 million by 2010. At least $11 million of that went to relief efforts for hurricanes Katrina and Rita, and Oprah herself kicked in another $10 million. The Oprah Winfrey Charitable Foundation strongly supports her Leadership Academy for Girls in South Africa. With an estimated net worth of $240 million, Hollywood power couple Will and Jada Pinkett Smith have long engaged in philanthropy, establishing their family foundation all the way back when the summer blockbuster Independence Day came out. The couple, via their foundation, support a range of causes including education and the arts. Jada graduated from Baltimore School of the Arts, and gave school a $1 million gift last decade. The foundation has also supported an energy startup called Quidnet Energy, a "developer of grid-scale energy storage systems capable of enabling the baron-free power grid," and recently backed NYU's Tisch School of the Arts' Fusion Film Festival, which works with women filmmakers. Playwright, screenwriter, producer, director, actor Tyler Perry has a foundation whose mission is to "transform tragedy into triumph by empowering economically disadvantaged youth, seniors, and families to overcome adversity by achieving a better quality of life." Unsurprisingly, Perry supports select churches and religious outfits. Human services, and arts education are other interests. Grantmaking involves a handful of outfits annually, and Atlanta and Los Angeles are important locations. Born in impoverished rural Florida, Eddie Brown attended Howard, NYU, and Indiana University before finding success in finance. He and his wife, Sylvia, established the Eddie C. and C. Sylvia Brown Family Foundation at the Baltimore Community Foundation in 1994, which addresses needs in the areas of health, the arts and K-12 education. Brown and Sylvia created the Turning the Corner Achievement Program (T-CAP), an education initiative that targets at-risk middle school students in Baltimore. Last decade, the family also gave a multi-million gift to establish the Brown Center at Maryland Institute College of Art.University of Maryland, Baltimore County (UMBC) is home to the Brown Capital Management Faculty Institute of Entrepreneurship. The only African-American man on the 2015 Forbes 400 list, and the richest black American not named Oprah Winfrey, Goldman Sachs alum Robert F. Smith co-founded his own private equity firm in 2000. The 53-year-old billionaire is quickly emerging as a major philanthropist, and earlier this year, Smith and hisFund II Foundation gave $50 million to Cornell to support STEM diversity. Smith gave at least $20 million to the National Museum of African American History and Culture. His Fund II Foundation is just kicking off, but focuses on such areas as entrepreneurship, the environment, music education, human rights, and preserving the African-American experience. Former president of Oracle and current CEO of Infor, Charles Phillips and his wife Karen founded the Phillips Charitable Foundation, a "nonprofit foundation providing financial aid for single parents, students interested in engineering, and wounded veterans." Before his tech and business career, Phillips served in the Marines and recent foundation grantees include United Service Organizations of Metropolitan Washington (USO-Metro), and the Wounded Warrior Project. Notably, the foundation gives funds directly to individuals. Former chairman of Time Warner and Citigroup, Parsons and his wife Laura and family move their philanthropy through the Parsons Family Foundation, an under-the-radar vehicle that does not appear to accept unsolicited proposals. The family's philanthropy focuses on New York City and the northeast, with education and the arts receiving high priority. Parsons chairs the board of directors of Apollo Theater in Harlem. Former Destiny's Child member turned unstoppable solo phenomenon, Queen Bey co-founded Chime for Change with actress Salma Hayek. The outfit describes itself as "a global campaign to raise funds and awareness for girls and women around the world." Beyonce's bankrolled Embrace Innovations, which provides low-cost infant warmers and helps premature babies born in developing countries survive and thrive. She's also launched a philanthropic initiative called #BeyGOOD, to help the homeless, sick children and the unemployed. In addition, Beyonce has focused some of her giving on Texas. Born in Ethiopia, Liya Kebede enjoyed early success as a model in Paris and has since found international fame. Kebede founded Lemlem, a hand-crafted clothing brand as a way to inspire economic independence in her native country. She also founded the Liya Kebede Foundation (LKF), which coincided with her appointment as a Goodwill Ambassador for Maternal & Child Health for the World Health Organization. Through LKF, Kebede has emerged as a significant supporter and advocate for safe motherhood initiatives in Africa. Kebede also moves philanthropy through the Kebede Family Foundation, a low-profile vehicle that she steers with her husband, Kassy, a hedge funder. In 1984, Arte Moreno entered into a partnership deal with a billboard business in Phoenix called Outdoor Systems, and sold the company to Infinity Broadcasting for $8.7 billion in stock in 1999. The first Mexican-American to own a major sports team in the U.S., the billionaire Moreno's philanthropy mainly focuses on the dry climes of Arizona and Southern California. Moreno and his wife Carole are interested in areas like education, where they've funded scholarships for Hispanics, human services, and the arts. Gloria Estefan and her husband Emilio Estefan move their philanthropy through the Gloria Estefan Foundation, which, in recent years, has given somewhere in the neighborhood of $100,000 annually. Estefan's philanthropy focuses on Miami, her longtime residence, with health, human services, youth, and animal care outfits receiving support. Estefan has also given to Hispanic organizations and has strongly supported her alma mater University of Miami. After Rogers graduated from Princeton and worked as a stockbroker for a few years, he founded Ariel Investments, the first minority-owned mutual fund company. Rogers' philanthropy strongly focuses on his native Chicagoland, with significant sums going to University of Chicago and its Lab Schools. Rogers is also interested in financial literacy and donated $1 million last decade to endow scholarships for eighth graders graduating from Ariel Community Academya public school located on the South Side of Chicago. Related: John W. Rogers, Jr.
Raised in a family with political ties, Allende fled Chile for Venezuela and became an American citizen in the 1990s. Her first novel, The House of the Spirits, became a worldwide bestseller. Allende moves her philanthropy through theIsabel Allende Foundation, which primarily supports nonprofits in California and Chile that provide vulnerable women and children with access to reproductive care, healthcare, education and protection from violence. Grantees have included Center for Reproductive Rights and Mujeres Unidas y Activas, a "grassroots organization of Latina immigrant women with a double mission of promoting personal transformation and building community power for social and economic justice." With her former husband, Sheila Johnson co-founded Black Entertainment Television (BET) in 1980, which sold to Viacom for $3 billion. Sheila Johnson moves her philanthropy through the Sheila C. Johnson Foundation. Johnson has given particularly large sums to education. The Hill School in Virginia is home to the Sheila C. Johnson Performing Arts Center. New School's Parsons School of Design is home to the Sheila C. Johnson Design Center, and Morrisville State College in Upstate New York is home to the Sheila Johnson Design Center. Morgan Freeman moves his philanthropy through the Rock River Foundation. Freeman's philanthropy focuses on Mississippi, where he resides, and grantmaking mainly involves support of education and the arts. A little under $1 million went out of the door in the most recent tax year for which records are available. McNeil started McNeil Technologies in his attic in 1985. The Virginia-based company grew into a leading government national security and intelligence services firm that sold for $355 million to AECOM. McNeil and his EPA veteran wife Juliette move their giving through the McNeil Family Foundation, through which they modestly support causes in Virginia, their native Alabama, and elsewhere. A preschool in Virginia bears the couple's name. They've also supported an organization working in West Africa during the Ebola outbreak, and have given at least $1 million to the new Smithsonian African American museum. Stanley O'Neal joined Merrill Lynch in the early 1980s eventually being appointed CFO in the late 1990s, and a few years later, CEO and president. He's considered the first black American to run a major Wall Street firm. Stanley O'Neal moves his philanthropy through the O'Neal Foundation, an under-the-radar vehicle with a particular focus on education and other causes that have personal connections to the family. New York City-born Welters joined UnitedHealth Group upon its acquisition of AmeriChoice, a healthcare company he founded in the late 1980s. Welters is a founding member of the National Museum of African American History and Culture. Welters and his wife Beatrice move their philanthropy through the Vincent Wilkinson Foundation, which gives primarily in the D.C. metro area. His Airness once had a family foundation during his playing days, but through the years, his philanthropy has been difficult to track. More recently, he's stepped into the spotlight, giving a $2 million civil rights gift to the Institute for Community-Police Relations and the NAACP Legal Defense Fund (LDF). Jordan also recently donated $5 million to Smithsonian National Museum of African American History and Culture. In recognition of his philanthropy, the museum will name a section of its sports gallery the Michael Jordan Hall. Related: And It's Jordan, Again! Is This NBA Legend Aiming for the Giving Big Leagues? Current NBA top dog (sorry Warriors fans) Lebron James made nearly $65 million last year.Lebron recently partnered with the University of Akron to provide a four-year scholarships to the Ohio school for students in his “I Promise” program who qualify. The scholarship should cover the costs for 1,100 kids, which according to some sources could cost his foundation a total of $41.8 million. There are a number of other philanthropists we might have mentioned. For example, writer-producer Shonda Rhimes has given at least $10 million to the new Smithsonian African-American museum, as well via her Rhimes Family Foundation, which appears to be recently minted. Only in her 40s, the Dartmouth graduate turned Hollywood superproducer is a funder to watch in coming years. Hedge funder Alphonse "Buddy" Fletcher, the brother of screenwriter Geoffrey Fletcher, was once a significant philanthropist through his Fletcher Foundation. Music legend Prince also quietly gave away millions, with much of his generosity happening under the radar. The richest black American in the 1980s, the late Reginald F. Lewis, was also a big giver whose work continues on through a foundation that bears his name. The pioneering businessman helped create the Reginald F. Lewis Museum of Maryland African American History & Culture and, appropriately, his Reginald F. Lewis Foundation has contributed at least $1 million to the new Smithsonian African-American museum. We'll keep a close eye out for other emerging figures as the face of American philanthropy continues to change.